The Chado Society of St. Louis 純心庵 was founded by Junko Ikeda, trained at the Urasenke school of tea in Kyoto. Students meet weekly and often perform at public and private events. A disciplined, fun and dedicated group, new members are always welcomed. We welcome anyone who wants to participate in the tea ceremony. Classes are taught weekly in the Urasenke tradition of Chanoyu. Private lessons are also available. Please email or telephone to reserve your space for more information. Members serve as both the “host” or one of the “guests” in a tea lesson. All learn the traditional ways to prepare, serve and drink tea. With time, more advanced methods are introduced under the guidance of the tea instructor. There are many paths to learning Chado – the Way of Tea. Some are interested in traditional Japanese culture. Others enjoy the Art, study of Zen, meditation or simply the taste of powdered green tea. All are welcome. Junko Ikeda lives in St. Louis and Kyoto. 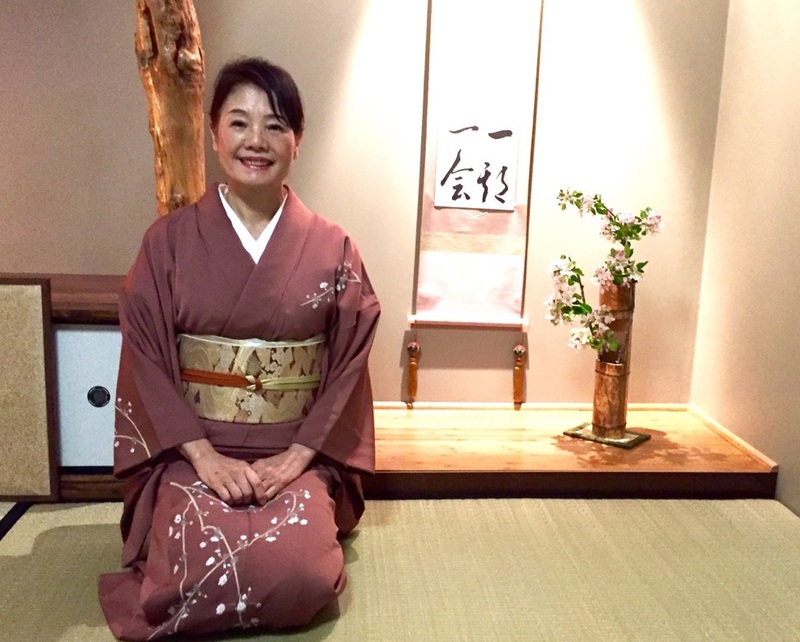 She started learning the way of tea from her Mother, then the teachings of Urasenke – first in college then from Professor Hayashi Soumi of the Minami branch of Urasenke Kyoto. In Japan, she earned the tea name Soujun September, 2007. After living 28 years in Kyoto, Ikeda-san moved to America in 2006. In 2008, she participated as a guest as professor Kimiko Gunji performed the tea ceremony at the University of Missouri-St.Louis. In 2009, she built a tea room Junshin-An in her home St. Charles and started teaching the Japanese Tea Ceremony. Currently, the Chado Society of St. Louis has more than 20 students, spreading the spirit and art of tea through demonstrations, hosted tea ceremonies and lectures.